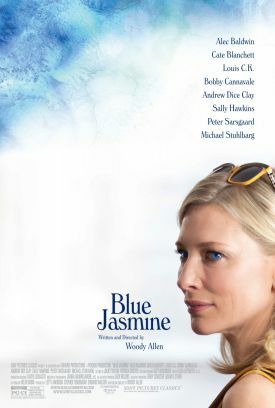 A key piece of information which is only revealed in the final minutes of Woody Allen’s Blue Jasmine and which, therefore, I must not reveal here changes everything we have thought about the film’s victim-heroine, Jasmine (Cate Blanchett), up to that point. It’s obvious from the beginning that Jasmine — lately the wife of a fabulously rich Wall Street type who, like pretty much all Wall Street types in the movies, has turned out to be crooked — is an emotional wreck. We see her apparently chatting to her first-class seat-mate on a transcontinental flight about having met her husband to the strains of the Rodgers and Hart standard "Blue Moon" as if it were just a fond romantic reminiscence. We soon realize that she is talking to herself, as she does periodically throughout the movie, her own flashbacks to her comfortably well-heeled life with the fraudster Hal (Alec Baldwin) tracking closely with the movie’s. Only in the last of these do we learn what has brought her to this pass, taking refuge not only in vodka and Xanax, but also in the fantasy of her former life on Park Avenue from her much less desirable real life in the present. "When Jasmine doesn’t want to know something, she has a habit of looking the other way," says her sister Ginger (Sally Hawkins) with whom she has come to live and whose supposedly proletarian apartment in San Francisco — are there still such things in the Mission District? — represents her new reality. Though both Jasmine (née Jeanette) and Ginger were adopted, Ginger jokes about Jasmine’s having got the family’s "good genes" as a cover for her own presumed inferiority. That is echoed in the vulgarity of her ex-husband, Augie (Andrew Dice Clay) and her new boyfriend, Chili (Bobby Cannavale). Chili tries to match Jasmine up with a similarly low-life pal, Eddie (Max Casella) whose blindness to his own unsuitability as a romantic attachment to this exquisite creature is the principal evidence of his social inferiority. There is something much too easy and formulaic about this sketch of what Mr Allen imagines to be the American class-divide, even if you overlook Ginger’s suspiciously large apartment and apparent middle-class life with her two sons — who are, equally suspiciously, seldom seen and almost never heard. The movie appears to accept by default the cruel meritocratic class-consciousness assumed by Jasmine when she refers to Chili and his pals as "losers." This class system, in other words, has no place in it for the virtuous poor. The only virtue it recognizes is intelligence, taste and education — the qualities of the media and political élite to which Woody Allen and his natural audience all belong and which is now sometimes referred to as "the ruling class." Above this level, so we are meant to understand, there are only greedy crooks, like Hal; beneath it, only losers, like Chili, even though Chili appears to be making a decent living as a garage mechanic and otherwise lives a respectable life. By the way, according to the Oxford English Dictionary the word "loser," has only been in the language in the sense it is used here ("an unsuccessful or incompetent person, a failure") since 1955, a good eight years after Tennessee Williams’s play A Streetcar Named Desire, generally agreed to have been Woody Allen’s inspiration for Blue Jasmine and of which it is a sort of analogue. But if Jasmine is in some ways a plausible Blanche Dubois, Chili is no Stanley Kowalski, nor would anyone have thought back in 1947 to have described Stanley as a loser. Not coincidentally, there is no sexual chemistry between Chili and Jasmine, who may be as self-deceived as Blanche was but who is no longer deceived, as Blanche was, about being a tramp (as they would have put it in her day) — presumably since a reputation for "loose morals" (to use another out-of-date expression) no longer holds any terrors for women. Instead, Jasmine is self-deceived by thinking that she can somehow retain the privileges that come with money after the money is gone, and that the life which now stretches before her is "too menial" for her. Ginger, too, is self-deceived by believing, at least for a while, that Jasmine is right in saying she can do better than Chili and his "loser" friends. The illusion in both cases appears to be bound up with a larger romantic illusion suggested by the dissonance between the typically jazzy score — El Jazz Caliente is the name Woody Allen gives to a bar or night spot near Ginger’s apartment where most of the action takes place — and the emotional kick we are meant to get from compassion for the misfortunes of the central character. We might almost see the movie as a bitterly ironic commentary on the lyrics of "Blue Moon," which tell the story of a quasi-miraculous encounter with "the only one my arms will ever enfold." What a laugh that is! As in even the best Woody Allen movies, and this is the best I have seen since Match Point, a yawning despair lies just beneath the surface. Like that of his God-haunted idol, Ingemar Bergman, Woody’s despair, as I take it, is born of a lingering but constantly disappointed expectation of finding any moral order in the universe. Once we have grown used to the kind of cynicism in which he specializes, formerly for comic, now for tragic effect, we won’t be very much surprised by the surprise ending to Blue Jasmine. 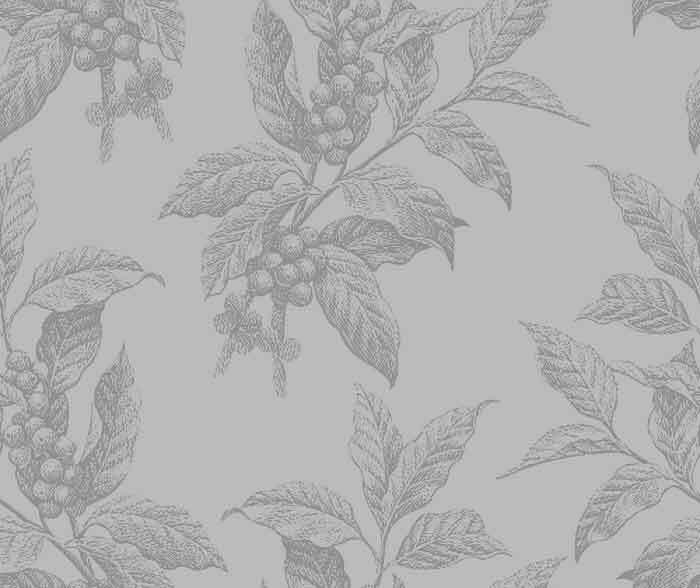 Nor, I believe, will the new slant it gives us on Jasmine and her plight make very much difference to the pity which is all that we can feel for her and all that the author aspires to make us feel. Miss Blanchett makes as much of the role as can be made, and will almost certainly get an Oscar nomination out of it, but the bleakness of her sad situation hardly compares with the bleakness of the world view out of which Woody Allen created her.